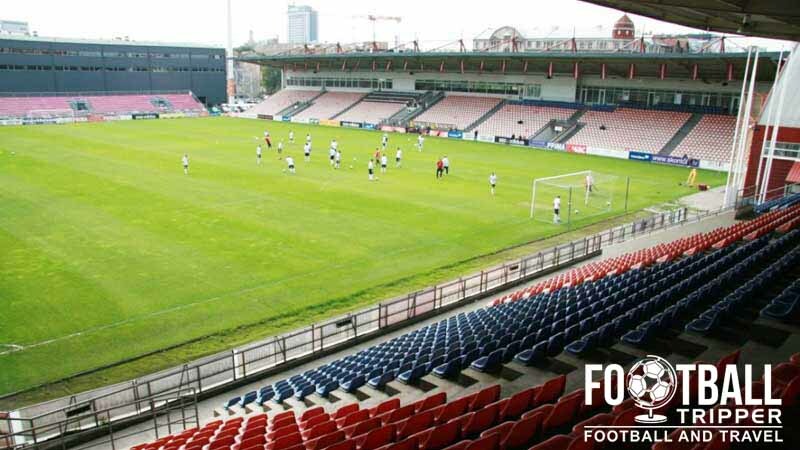 Skonto Stadium or Skonto Stadions in Latvian has been the home ground of both Skonto FC and the Latvia National Football Team since opening in the summer of 2000. Skonto Stadium first opened on 28th June 2000 symbolically ushering in a new era of sports for the small nation of Latvia. Envisioned as as a purpose-built footballing stadium, the design incorporates the nearby Skonto Hall which is used to host Ice Hockey matches, entertainment events and exhibitions. As the largest stadium in Latvia and arguably the most modern, it is the de-facto home of the Latvian National Team although it is also home to Skonto FC who the ground shares a name with. The record attendance to date was set during a Euro 2004 play-off match against Turkey when just over 10,000 supporters saw Latvia secure a narrow one nil victory which ultimately helped them qualify for the tournament – the first in the small nation’s history and only to date. 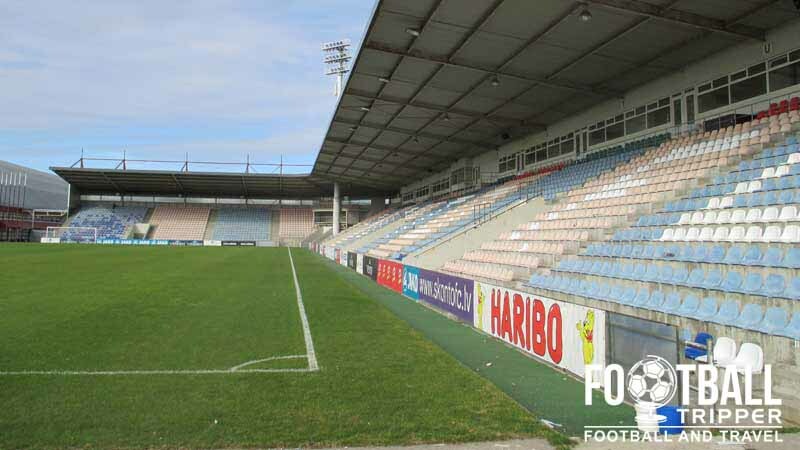 As for club football, the highest level of matches played at Skonto Stadium came during the 2009/2010 season when Latvian team FK Ventspils leased the stadium after reaching the Europa League group stages. Finishing bottom of the table with 3 points, Ventspils played three high level opponents in Hertha BSC, Heerenveen and Sporting CP. 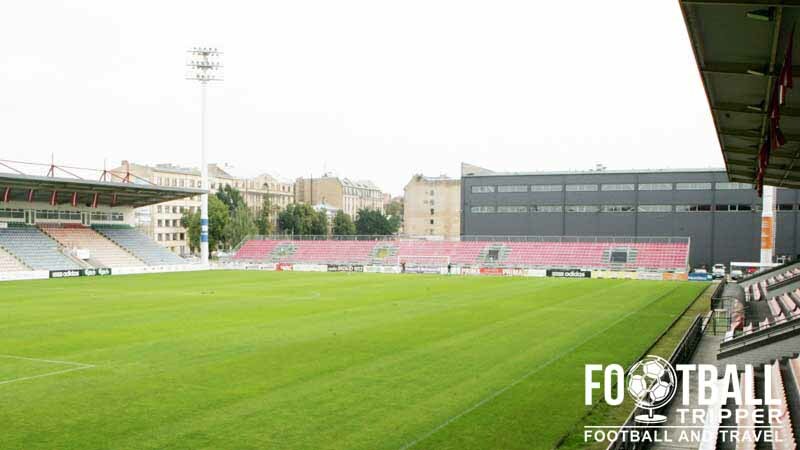 Skonto FC on the other hand regularly participate in the qualification rounds of the Champions League, however they have yet to progress beyond the 2nd round since moving into Skonto Stadium. 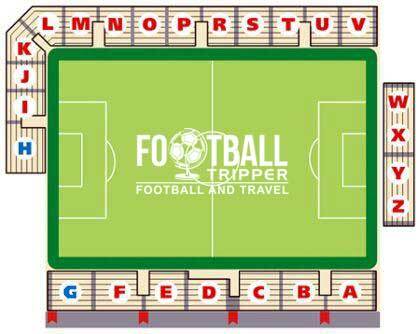 For international matches such as Latvia v Netherlands on 12th June 2015 the travelling supporters were housed within the southernmost section of the eastern stand within blocks S, T, U and V.
A new south stand appears to be under construction so this may soon change however. The country of Latvia is slowly developing its reputation as a tourist destination, and thus you can expect to find a good number of bars and pubs within the city centre. We don’t have this information to hand currently. Apologies. 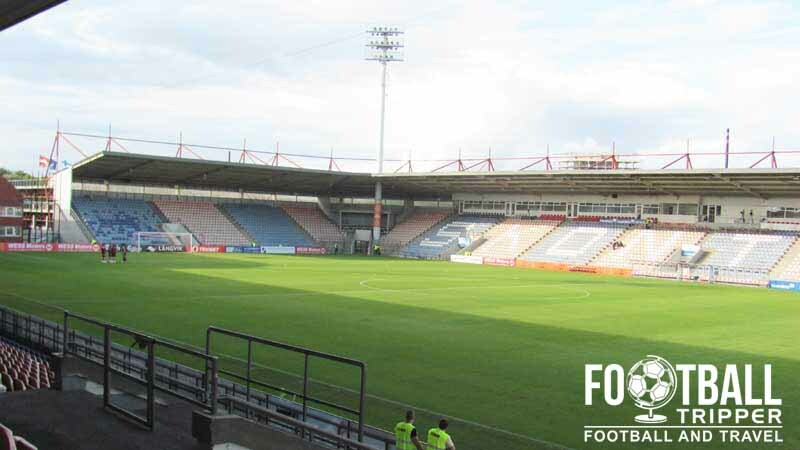 It doesn’t appear as if either the Latvian Football Federation or Skonto FC currently fans the chance to undertake a tour of Skonto Stadion. If this changes we’ll be sure to update this section. Tickets to see an International fixture should always be obtained in advance through your national football association, whereas matches of Skonto FC can be purchased on the day of the match before kick-off. Skonto Stadium sits on the eastern bank of the River Daugava approximately 1.8 km km from Riga Cathedral in the historic city centre. This means that you can easily walk to the ground within 20 minutes. Adjacent and overlooking the pitch is Skonto Hall which forms part of the wider sports complex. There are several small car parks scattered around Skonto Stadions and Skonto Halle although the matchday parking restrictions are unknown. Make sure you get there early in case you need to find a Plan B. The closest bus stops to the stadium are all located on Krišjāņa Valdemāra iela which is the main road which runs one block to the south. The nearest stop “E. Melngaiļa iela” is served by Bus numbers 11 and 20, and then several Trolleybus services: 3, 5, 12, 14, 17, 22, and 25. As you can see from this small car park Skonto Stadions is yet to be fully enclosed, and if you stood on your vehicles roof you could just about watch the game! Riga Central Station or Rīgas Centrālā dzelzceļa stacija as it is sometimes known as is the main railway station of the city, located centrally in the historic quarter. Riga International Airport is the largest airport in Latvia and is the main commercial flight hub of the city. It sits anywhere between 8-9.00 km west of the historic city centre depending on how you define it. The two closest hotels to the stadium are the reasonably priced Albert and City Hotel Teater. Back towards the city centre here are numerous more accommodation options including a Radisson Blu amongst others.